Agoda is a booking service for travel accommodations, typically used to find low prices on hotel stays, and popular throughout Asia. House/apartment rentals are also available on the site. The website displays reviews left directly on Agoda, as well as reviews left on Booking.com and Priceline.com (they are all three owned and operated by Booking Holdings). The order in which accommodations are displayed in search results is, in part, influenced by historical popularity, content quality, customer reviews, and the average star rating from reviews. Preferred partners and sponsored partners (pay for placement) exist and are clearly marked. Take control of your online reputation with the most powerful online review management tool out there. 5starRocket allows you to get in front of potentially damaging complaints BEFORE they are posted and helps you increase your positive reviews. Find out how. 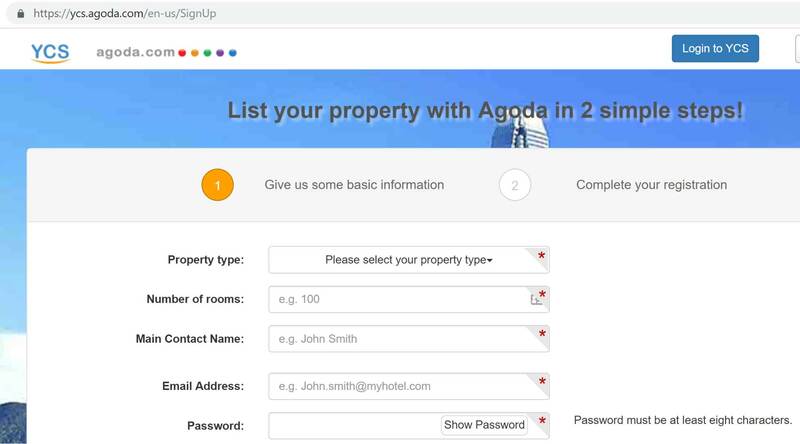 If you would like to list your property on Agoda, go to this page to register your listing for free. This page can be found at the bottom of the homepage under Partner With Us, Properties. Once you have navigated there, you can learn about the partnership and click the orange Sign Up for Free Now button. Once you are registered, you are responsible for making sure all information about your property is accurate. Only customers that have made and completed a booking through the Agoda website are allowed to leave a review. After the stay, the individual receives an email with a link to leave a review on Agoda. Alternately, an individual can click on their name in the upper right-hand of the homepage if they are signed in, which will display a drop-down menu. This menu has a Reviews section, where users can click to see the reviews they have written and all properties for which they are eligible to write a review. Final thoughts: Agoda allows its visitors to view reviews left directly on its website, as well as reviews left on Booking.com and Priceline.com Before making a final decision, travelers would often read reviews from previous guests. With 5starRocket’s online review management, you will increase your positive reviews and also get ahead of any complaints BEFORE they are posted. Take control of your online reputation! Find out more.